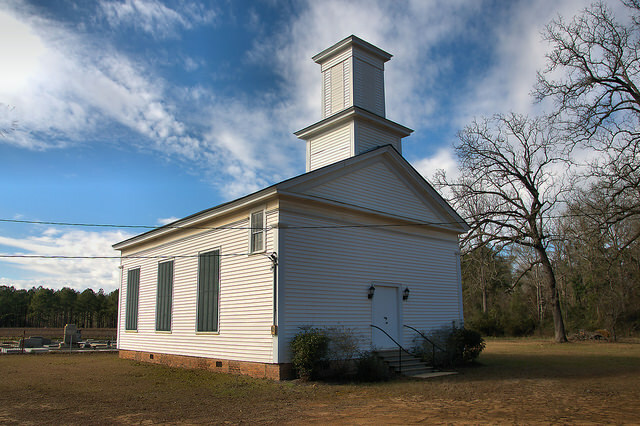 This congregation dates to 1849, beginning in a location a mile south and then known as the Pachitla Presbyterian Church. For a time, the area was known as Whitney, and the church name was changed to Whitney Presbyterian. The name was changed to Dickey Presbyterian in 1913, for Thomas Edward Dickey, who had donated the land for the present building. Located on a beautiful dirt road and surrounded by family who have owned the adjacent farm for over 150 years, Dickey Presbyterian is worth visiting. Though no longer active, the church and grounds are well maintained and watched over by family members. 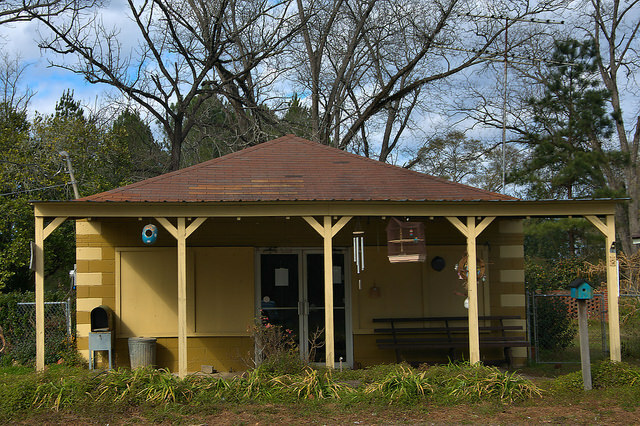 This is next door to the gas station pictured in the previous post. It’s hard to imagine Dickey was ever large enough to support two stores. I think it’s nice that the owners have painted and kept these buildings in good shape. 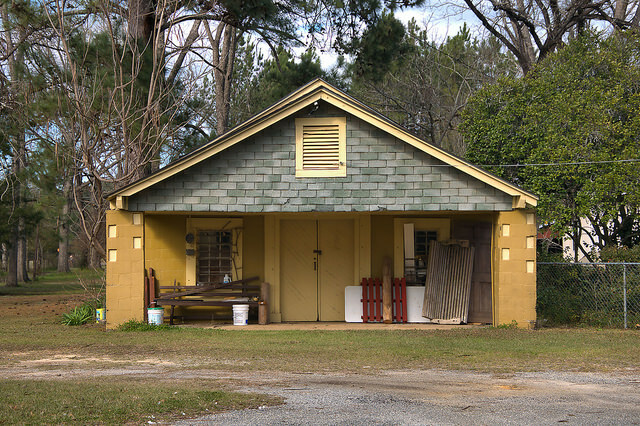 This was probably an old gas station/country store. The pumps are long gone.